Latest In Beauty have had some amazing boxes of late and next week, I am sharing with you one of the BEST beauty boxes I have ever bought. In the meantime, LIB is back with yet another amazing collaboration with Byrdie (seen here). If you have never heard of Byrdie before, the site is well worth a read (here) as it is one of my favourite sources of information about updates, hints and tips and even sneak previews of new releases! 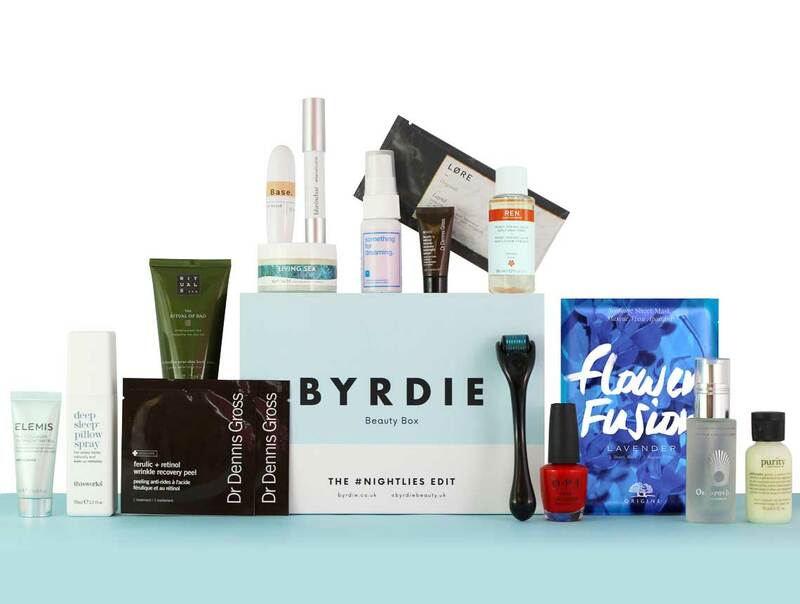 This Beauty Box features some of the BYRDIE team’s favourite beauty products and is described as being the "debut beauty box delivers the #Nightlies Insta Story concept to your very own bathroom, enabling you to ramp up your Sunday night routine too. Inside, you’ll find everything you need to recharge your body, rejuvenate your complexion and get yourself in the mood for a great night’s sleep". How much does it cost? This box is just £50 (here) and 8 of these products are full sized and the overall value of the box exceeds £210 which is phenomenal value! Latest In Beauty are killing it right now. Their Style Box was amazing and this is brilliant value for money. Loving the sound of the Mircoroller. Oooooo they all look so good! I love the items included they are fab! Ok this looks like one of the best beauty boxes I've seen! !